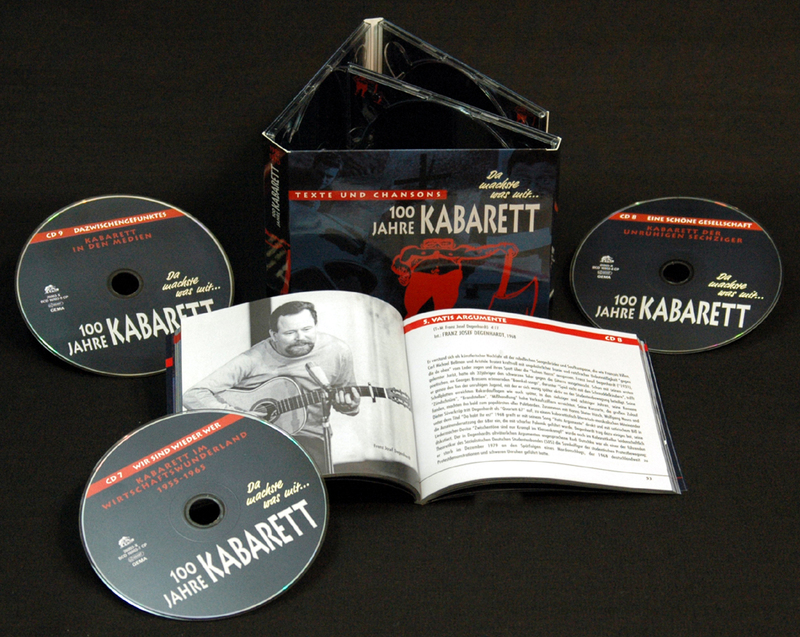 3-CD DigiPac (8-plated) with 126-page booklet, 62 tracks, playing time approx. 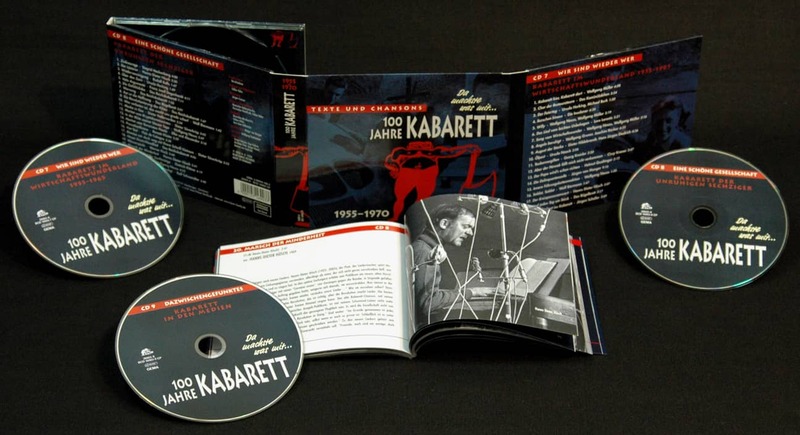 239 minutes. 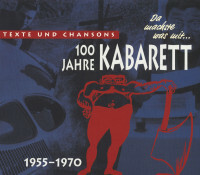 "Various - 100 Jahre Kabarett"
Not even the spelling is agreed. 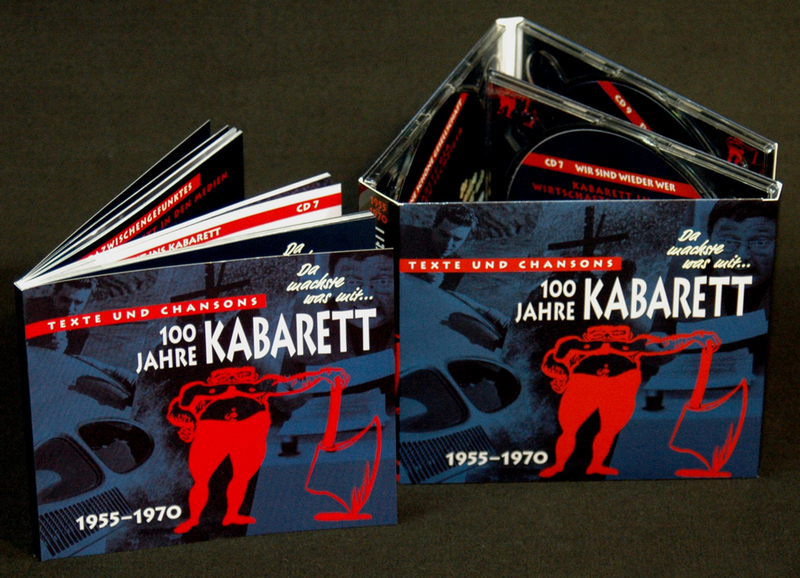 What the big C in Cabaret is to one person, his hard K - like KABARETT. 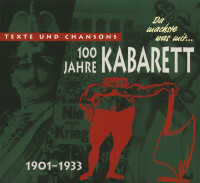 Set between puns and satire, comic clothes and agitation, nonsense and literary chanson, it doesn't fit into the theatre or on the operetta stage. 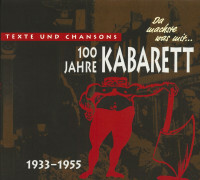 His cradle stood in a Parisian artists' pub, around the turn of the century it came to us over the Rhine, in the meantime it made guest appearances in literary cafés, in Tingeltangel bars and rip-off bars. Since the 1920s it has mostly been accommodated in the cabins, where it sits hard on a wooden bench and basement chair. If you want to laugh and not just at your own level, you'll be drawn to the place where you can fool around and blaspheme to your heart's content - to the cabaret. 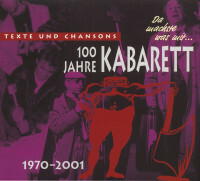 Cabaret in Germany has been going on for a hundred years now. 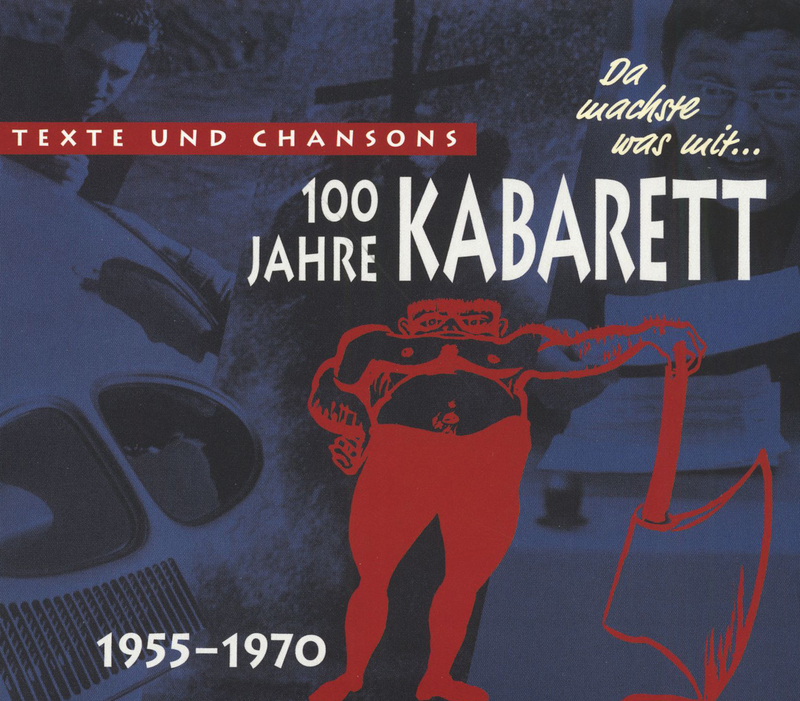 Volker Kühn, "Brettl historian and cabaret expert" (Der Spiegel), has searched the archives for important chansons and texts and documents the history of German cabaret on 12 individual CDs, some of them with unpublished recordings. 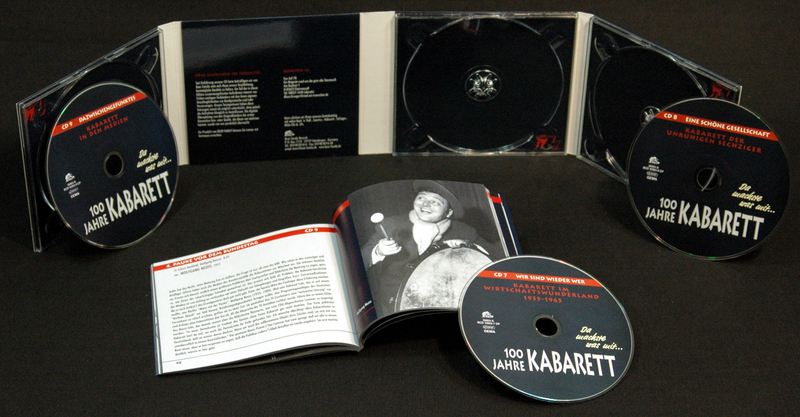 Customer evaluation for "100 Jahre Kabarett Teil 3 (3-CD)"